The Asia-Pacific air quality monitoring (AQM) system market size is anticipated to reach USD 1,529.6 million by 2024, growing at a CAGR of 7.3% during the forecast period. The Asia-Pacific market is driven by the high level of air pollution in the region and increasing initiatives taken by the local governments in the region. Different types of products contributed to the air quality monitoring system market size. The market has witnessed higher growth in demand for outdoor AQM monitors due to the increasing government initiatives and favorable regulations in the region. Different types of products include outdoor monitors and indoor monitors. Indoor monitors hold the larger share in the market. Moreover, outdoor monitors are expected to grow at the higher CAGR during the forecast period. The indoor monitors are further subdivided into fixed indoor monitors and portable indoor monitors. In addition, the outdoor monitors are further subdivided into portable outdoor monitors, fixed outdoor monitors, AQM station and dust and particulate matter monitors. Different types of sampling methods used for monitoring air quality include active/continuous monitoring, manual monitoring, passive monitoring, and intermittent monitoring. Of all sampling methods, the active/continuous sampling method anticipated accounting foremost share in the Asia-Pacific air quality monitoring system market. There are three types of pollutant, chemical pollutant, physical pollutant, and biological pollutant. Among all pollutant, the chemical pollutants are the most common type of pollutant monitored through AQM systems in Asia-Pacific. 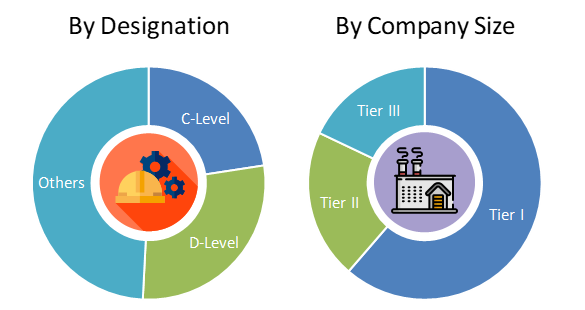 The end-users in the Asia-Pacific market include petrochemical industry, government agencies and academic institutes, commercial and residential users, power generation plants, the pharmaceutical industry, and others. Among the all end user, the government agencies and academic institutes account for the largest expenditure for the procurement of AQM systems in Asia-Pacific. Governments in different countries are the major stakeholder and frames regulations and take initiatives in the region to curb and monitor air pollution. The Asia-Pacific AQM systems market is primarily driven by increasing air pollution, increasing the prevalence of respiratory diseases and the increasing prevalence of cardiovascular diseases and cancer. According to the WHO, one-third of global air pollution deaths occur in the Asia Pacific. The organization reported that air pollution levels remain dangerously high in many parts of Asia according to new data from the World Health Organization (WHO). Around one third, or 2.2 million of the world’s 7 million premature deaths each year from the household (indoor) and ambient (outdoor) air pollution are in the WHO Western Pacific Region—home to one-quarter of the world’s population. Moreover, to counter this, different governments are framing regulations and taking initiatives to monitor and regulate air pollution in the region. The high product cost, slow implementation of air pollution control reforms and technical limitations are the major factor hindering the growth of air quality monitoring system market. Geographically, Japan is the largest market for the AQM system in Asia-Pacific; however, with the proactive initiatives taken by the Chinese government will make country the largest market by the end of the year 2022. Moreover, India is anticipated to account for the fastest growth in demand for the AQM system in the region. Teledyne Technologies Incorporated, 3M Company, Thermo Fisher Scientific Inc., Emerson Electric Co., Siemens AG, ECOTECH GROUP, Merck KgaA, General Electric Company, Horiba Limited, TSI Incorporated, Autotronic Enterprise Co. Ltd., and Aeroqual Limited are the key players offering air quality monitoring system. 13.3. Thermo Fisher Scientific Inc.
13.11. Autotronic Enterprise Co. Ltd.
Table 92 Snapshot – Thermo Fisher Scientific Inc.
Table 93 Snapshot – Emerson Electric Co.
Table 100 Snapshot – Autotronic Enterprise Co. Ltd.